Have you ever thougt to move your big family on a tree? 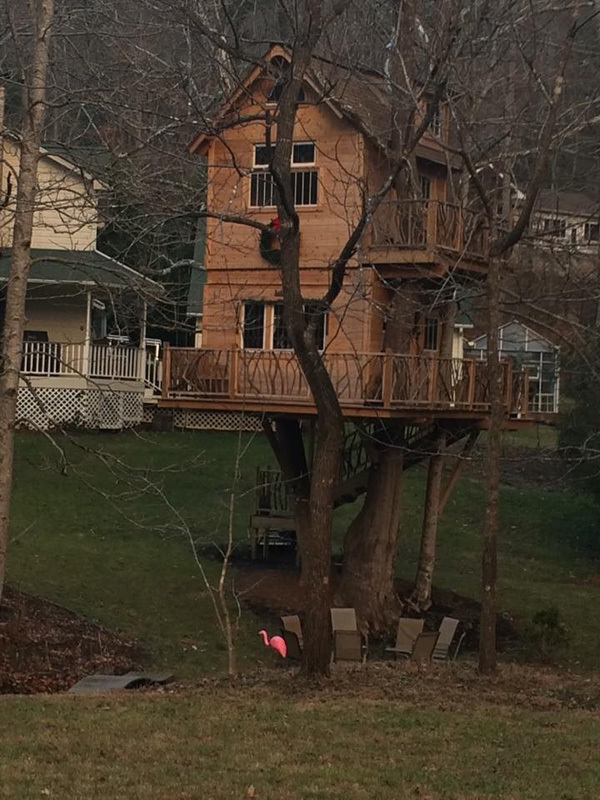 I think that the owner of this treehouse decided to move the whole family on a tree. Maybe a three floors house with living room, kitchen and dining room in the first floor, rooms in the second and at the top the attic. Of course a big terrace at the first floor to have breakfast and bbq with some good friends and a smaller one at the second floor, more intimate and privat. This treehouse remind me the Snowy Treehouse, both a very good solution fr a big family who loves the treehouses!